Visit our office in the heart of Seattle on Seventh Avenue between Stewart Street and Olive Way, or book your Washington court reporter right here from the Discovery Litigation Services website. Schedule your deposition and we will cover the rest. Discovery Litigation Services simplifies the process of finding the best Washington court reporter for your deposition or litigation. 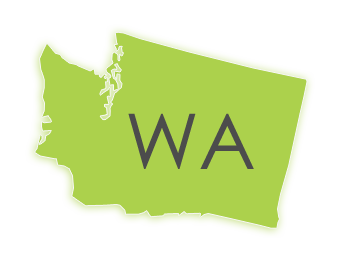 Our network of streaming enabled court reporters ensures we will provide the highest qualified shorthand reporters anywhere in Washington. Don’t just staff those who are nearest. Let Discovery Litigation Services provide you the most qualified court reporter for you. The Court Reporters we provide are experienced in a variety of cases and case sizes. Discovery Litigation Services was created by a court reporter with over 20 years of experience. As such, we understand how big of an asset the court reporter is to your case. We stop at nothing to get you the perfect stenographer for your needs. Because our aim is to put the most comprehensive litigation services at your fingertips, we are driven to simplify the process. Schedule your court reporter right now with a few easy clicks of the mouse. Our online real-time reporting facilitates the monitoring of depositions scheduled, with complete transparency through intuitive web and mobile based applications. Complete transparency on invoicing ensuring you don’t pay for products you don’t want or need. With our comprehensive litigation services, court reporting, and full-service deposition solutions, you can be free to focus on what’s really important. You Need More Than A Court Reporter. You might find other Washington Court Reporting agencies that can staff a deposition or corporate proceeding, but the stenographer is just one piece of the overall puzzle. What about the videographer, booking the room, coordinating schedules, tracking down interpreters, setting up a remote feed for high definition streaming to remote parties? What about the rest? Click “schedule a deposition”. Stop getting one-off services. Choose a comprehensive solution. In addition to a court stenographer, we provide experienced videographers. All of our deposition videographers are skilled in capturing clear, flawless footage utilizing a unique familiarity with court procedures and make the best use of the environment. You will not have to sift, seek, and skim through hours of footage to get to the moments you are looking for. After the deposition, you might be facing gigabytes of digital video to review. All depositions are synchronized to the transcript text, at no additional charge. Discovery Litigation Services delivers a clear, accessible solution for easy playback of your synchronized deposition. We make it easy to start from anywhere within the transcript. With a click of the transcript text, your video will begin playback exactly at that point in the deposition. Additionally, our deliverable makes it incredibly easy to import footage into a PowerPoint presentation for your opening statement. Discovery Litigation Services is on a mission to provide you with the quality and expertise your case requires in an accessible package and the convenience of the digital age. 1700 Seventh Ave Suite 2100 Seattle, Washington 98101 United States. Seattle Court Reporters. Real-Time Court Reporting. Videography. Mediation Services. Interpreters. Trial Presentation Services. Document Review Attorneys. Discovery Corporate Services.